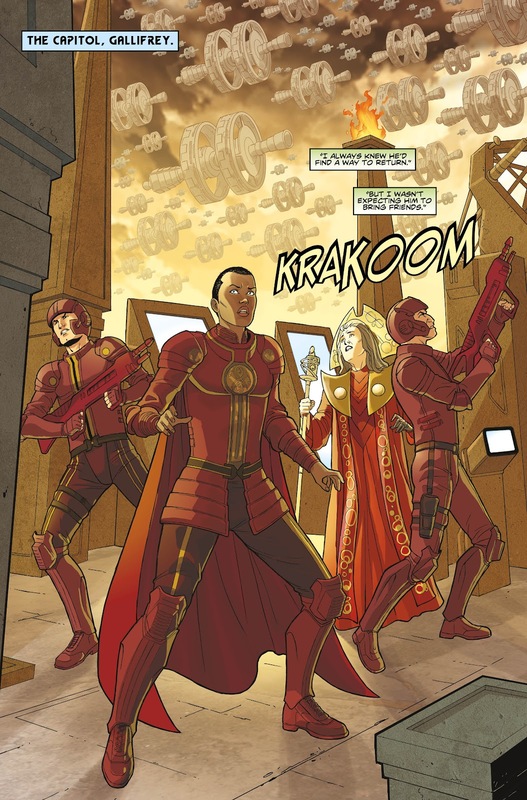 The Fellowship has obtained a first look at DOCTOR WHO: SUPREMACY OF THE CYBERMEN #3 from Titan Comics. 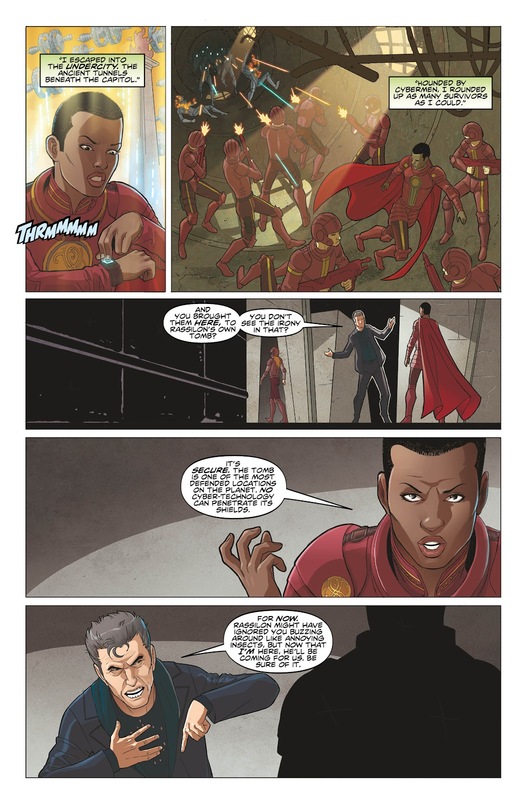 The issue, which hits stores September 14th, is written by George Mann & Cavan Scott with art by Ivan Rodriguez & Walter Geovanni. 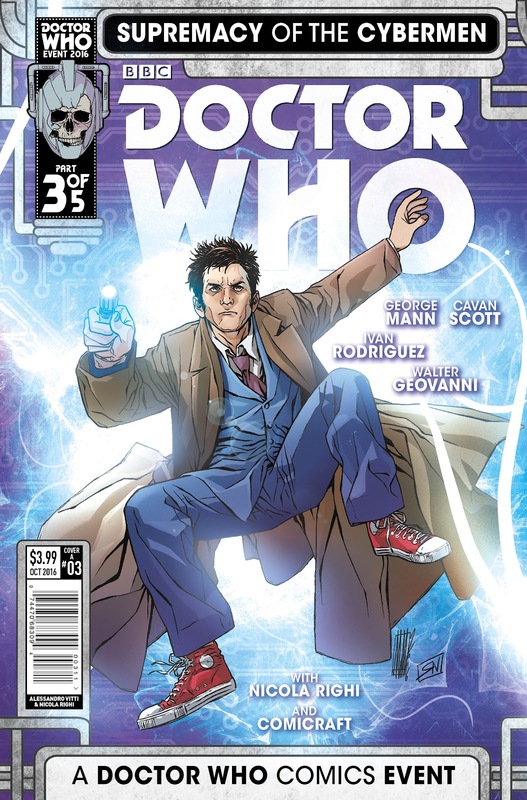 The cover is by Alessandro Vitti, with a photo variant and a Cybermen Variant by Fabio Listrani. Witness the birth of the new Cybermen invasion, as the history of this aggressive Cyberiad is at last revealed! The Tenth Doctor takes a titanic machine into combat. The Twelfth Doctor finds an unlikely ally. The Ninth Doctor loses one of his own. And the Eleventh Doctor discovers something impossible!